All cars listed with Car Next Door are covered by 24/7 Roadside Assist from RACV. 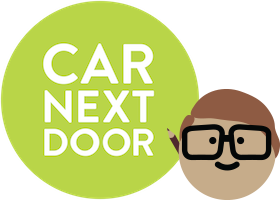 This is a free service to Car Next Door members. You can use it whether you are a borrower, or an owner driving your own car. Roadside Assist will come to your car (usually within an hour) to help in the case of a breakdown, flat tyre, dead battery, accident, locked-in keys or any other disabling car problem. If you need Roadside Assist, call us on (02) 8035 8000 to let us know, then call 24-hour Roadside Assistance on 1800 686 464.
call RACV 24-hour Roadside Assistance on 1800 686 464 (call this number even if you are in New South Wales or Queensland - RACV will then get NRMA or RACQ to attend). You will need to quote the car's licence plate number to the phone operator. If you are in New South Wales or Queensland, RACV will put you through to NRMA or RACQ. Before they do, ask the RACV operator to speak to NRMA or RACQ first to confirm that the car is covered under our RACV membership. If they don’t, you may need to call RACV back and ask that they speak to the operator at NRMA or RACQ before transferring you. If you have any issues getting roadside assistance to attend, please call us right away so we can help. The Car Next Door account has authorisation for batteries to be provided on our account. You do not have to pay for batteries on the spot. If the car is not on the system for any reason, we have an agreement that it will be covered. Please call Car Next Door if you have any issues. This is a free service to Car Next Door members, and nine out of ten problems can be fixed on the spot. If not, the car will be towed to the nearest repairer, and we will help to arrange replacement transport (within the metro area). Out-of-town breakdowns are very rare, but to protect yourself against any loss or cost in the event that a car you have booked breaks down while you’re a long way from home, we strongly suggest that you purchase travel insurance. We will do all we can to help you get back on the road in these circumstances, but we won’t provide compensation. If you already have roadside assistance when you list your car on the Car Next Door platform, you can cancel it to save some cash. If your car requires a new battery, roadside assistance can replace the battery to get you or your Borrowers back on the road, however the cost of the new battery is not included. You'll be charged for the cost of the new battery. If you've been inconvenienced by a borrower causing the battery to go flat, you'll be compensated according to the fee schedule. Before you buy a new battery, please check if your current battery is under warranty. Hi CND, can you specify how many KMs are included in the towing agreement for Owners reference please, and charges applicable.